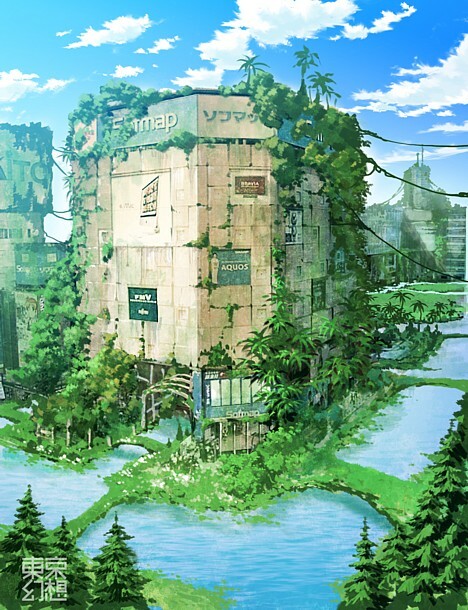 These fantastic photoshopped images by Tokyo Genso (Tokyo Fantasy) show a post-apocalyptic Tokyo overtaken by nature. To me Tokyo always had meant future. After being seing the pictures of this post we may expect an apocalyptic future? Pretty weird that I just did an image search and found this 3 year old post. 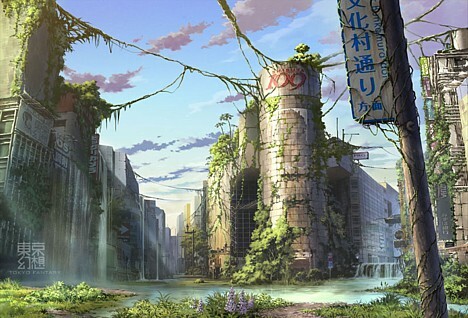 As much as I like the idea of nature beating people... let's hope that Tokyo does not end up this way any time soon. ESTA MANERA DE PLASMAR IDEAS ES SENSACIONAL, LA MANERA DE UTILIZAR LA TECNICA ES INSUPERABLE, ADEMAS DE LAS IDEAS FANTASTICAS DEL FUTURO, TAL VES NI TAN LEJANO. FABULOSO !!!! Gorgeous! Destroyed or no, just gorgeous! 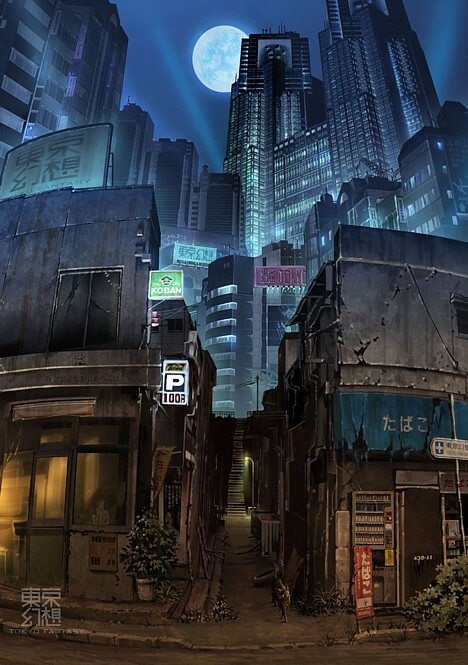 I love the Akihabara image and the Shinjuku pic is awesome - very atmospheric! Nice work. Where can we buy prints of these? Is there an online store? Because I would dearly love to post some in my house. 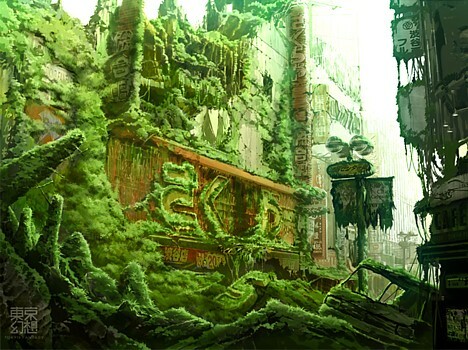 I agree with HotFor, this is more like post-apocalypse, survivors will then live in a greener healthier earth.. It looks this way every morning before ninjas clean it up, in the heat of August. They put my desk back pretty much the way I had it, impressively. Where can i find high resolution versions of the pics? These works aren't exactly photoshopped, they were illustrated. La verdad, ya es tiempo de que la naturaleza reclame su lugar, ¿y que mejor lugar para empezar que con los malditos ojos de rendija? 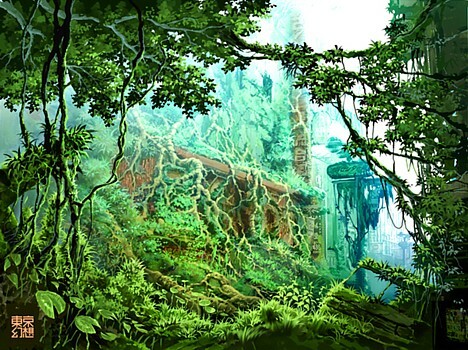 To speak the truth, is time for nature to take over it´s very own place, ¿So, what place could be better to start it that with the damned striped-like eye ones? 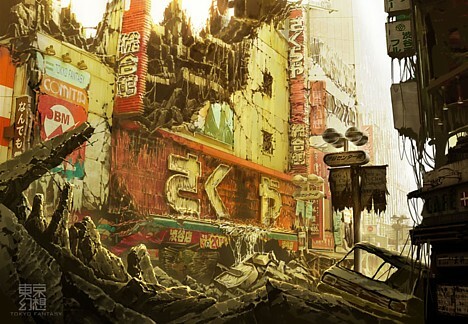 im a big apocalyptic tokyo fan! drmsite.com » Blog Archive » WTF? TrickyBuddha Studios | Fallout 3: Now in AbsentcolorTM! Gamer Granola » Blog Archive » Fallout 3: Now in AbsentcolorTM!